Brady ANSI Sign: TRIPPING HAZARD. FALLS MAY RESULT IN INJURY. Improve workplace safety with non-adhesive mounted signage. 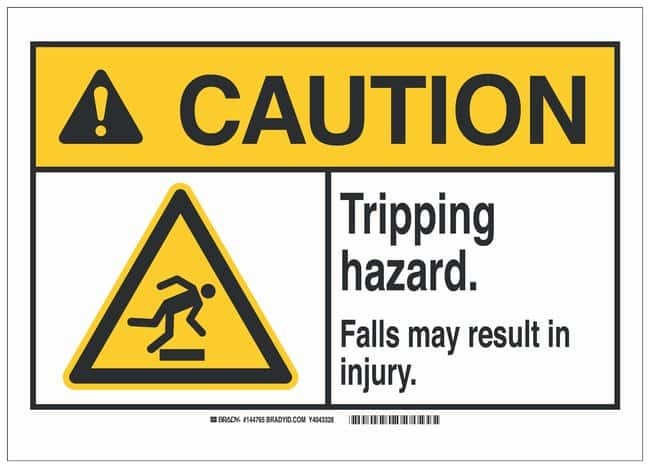 The Brady Tripping Hazard ANSI Sign is a durable, clear and effective tool to properly mark appropriate areas and to help prevent workplace injury. Message TRIPPING HAZARD. FALLS MAY RESULT IN INJURY.